5 Inexpensive Strategies to Boost Employees Productivity - Headsets Direct, Inc.
Business owners are trimming in some areas and investing in others as they work through the challenges this economy throws their way. The resulting new reality: doing more with less, with the “less” portion of the equation usually meaning fewer employees. The goal, then: do more with fewer people by equipping them to be as productive as possible. Here are five strategies you can use to improve an employee’s productivity, each costing about $300. Some are obvious, but are you doing them? Some aren’t, so jump in! Match the strategy to the employee situation. 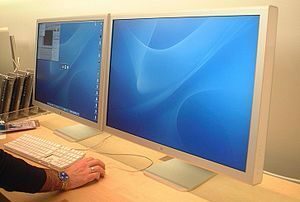 Most people multi-task, and much of it takes place inside the confines of a computer monitor. Add a second monitor and you double a person’s most productive workspace. Suddenly you don’t have to keep switching between windows as you reference a spreadsheet or website for something you’re writing, or every time you answer an email. The sense of freedom is immediate. Everything you do on your computer becomes easier. And think about the things you do on a computer hundreds of times a month and, well, you get the idea. A good quality 19″ flat panel monitor sells for about $150. You may also need a new video card, again, about $150. Both available at any computer retailer and online. Ask your network administrator for help, but it’s a very simple process and well worth it. Compare monitors and cards. Gone are the days telephone headsets are only used in call centers. Any employee who needs access to information while on the phone (computer, paper files, other people, etc. 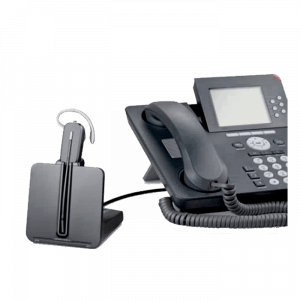 ), is on the phone more than three hours a week, multi-tasks, or has customer contact will save time and reduce stress with a wireless telephone headset. How? Two things happen when an employee goes wireless: they can work hands-free and move away from their desk while on the phone. The real time-saver kicks in when “I’ll have to find the answer and get back to you” changes to “Let me find that answer for you right now” as they access information on their computer, in a file or down the hall. Fewer callbacks, less phone tag, things get done faster and happier customers with less stress and fatigue at the end of the day. All because they didn’t have to hold the telephone handset or stay tethered to their desk. Many headset manufacturers site studies showing a 20% increase in productivity from wireless headset use. Headsets Direct has a variety of wireless headsets for under $300 and experts on the phone to help you select the right model. They also offer a 30-day replacement or return policy to make sure you get the right headset. Learning how to write better generally means learning how to write faster too. The time savings typically comes from better technique: separating writing and editing; organizing your thoughts before you start writing; improved proofing skills; etc. If an employee spends 8 hours a week writing email, reports, memos, letters, etc., and that’s the average for today’s knowledge worker, improving an employee’s writing can also create about one more work day a month. A few years ago all the rage was networked printers: those big, fast, high quality printers in a central location everyone connected to. When the euphoria wore off of being able to print at photo-quality resolution and collate 20 copies of that 20-page report, we started to realize we do those things maybe three times a year. The rest of the time we print we’re getting up from our desks to fetch two black and white pages of the memo we printed out to proof or file. Ouch! Save your most expensive employees all those trips to the printer each day with a printer in their office. 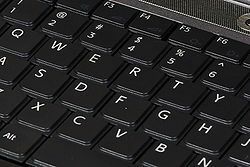 If you haven’t shopped for inexpensive computer printers you’ll be blown away at the quality and reliability. And, your people can still print from the main printer when they need to. With email as the preferred form of communication, even from down the hall, the goal here is to provide key employees with easy access to email and messaging wherever they are. The key being easy access. Most cell phones can access email, but most people don’t use this feature because it’s too hard to use. The answer is simple. Buy a Smartphone, something all cellular service providers sell. A Smartphone, simply put, is a phone with a keypad. 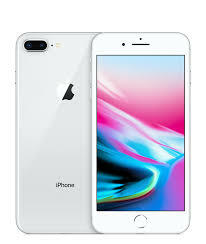 Most Smartphone’s cost less than $1000 with a 1 to 2-year agreement, and phones at this price point typically make accessing your email and messaging easy to set up and easy to use. Talk to your network administrator to make sure your email system is compatible with the model you want. When times get tough there are things you can do to make the extra workload on employees not as tough. Consider one or more of these suggestions. You’ll be glad you did.